Sims Crane & Equipment has the largest fleet of mobile cranes in Florida and 255 CCO-certified equipment operators, flagmen and riggers. Our crane equipment rentals include Grove and Shuttlelift cranes manufactured by Manitowoc and other cranes from top crane manufacturers in the industry such as Tadano, Terex, Linkbelt, Kobelco and JLG Industries. Our line of all-terrain cranes features Grove, Krupp, Liebherr and Tadano cranes. Linkbelt and Tadano cranes fill our rough-terrain crane line, while our crawler crane line includes superior equipment from crane manufacturers Kobelco and Linkbelt. All of the cranes in our line are available for daily, weekly and monthly rental periods. We also offer 24-hour scheduling and emergency rentals 24/7 for many routine cranes. In addition, our Flex Time Rates are perfect for clients with flexible schedule requirements who are looking to save money on crane rental costs. 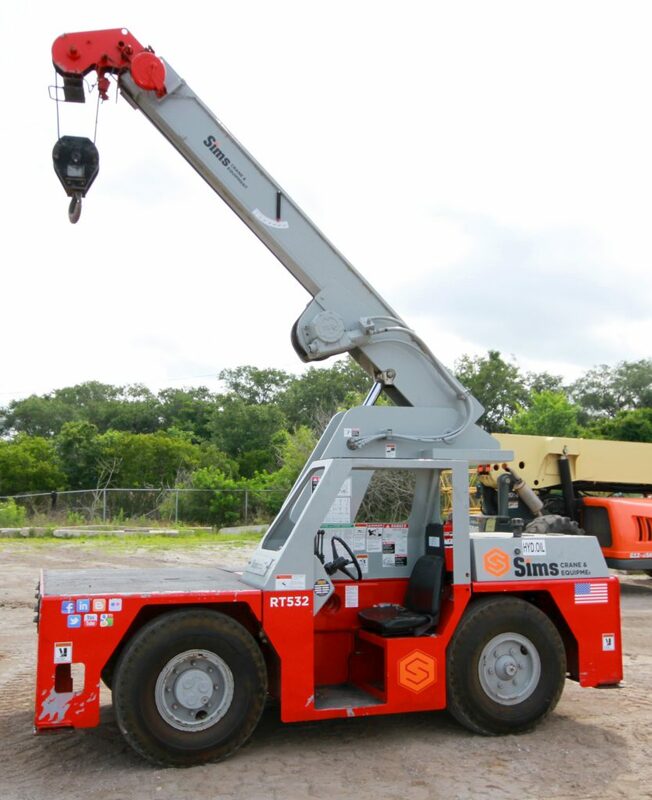 Sims Crane & Equipment has one of the largest service departments in Florida and can handle equipment repairs and the regularly scheduled maintenance that crane manufacturers recommend to keep equipment in top condition and extend service life. Our technicians are factory trained and experienced to handle services on our equipment or yours, and our parts department stocks a complete inventory of manufacturer parts and accessories. Our order processing is quick with order pickup available at one of our 13 locations. Our cranes and equipment can be seen on jobsites in Delray Beach, Spring Hill, Sebring, Jupiter, Cape Coral and neighboring cities. Contact us today for Shuttlelift cranes or other equipment quotes or to place parts orders.